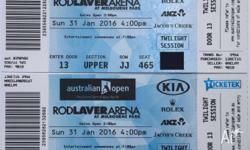 Women's Final at Rod Laver Arena today at 30/01/16. Ticket price paid $280 plus $20 credit card fee. 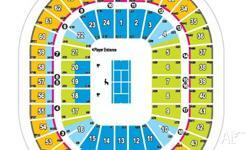 I sell it because I dont want to go. 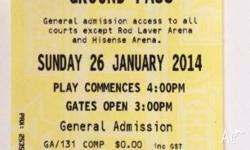 AUSTRALIAN OPEN GROUND TICKET FOR TENNIS GRAND FINAL DAY! 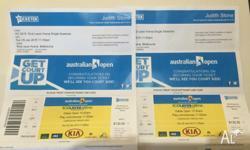 2 Tickets to Australian Tennis Open for Rod Laver Arena, Sunday 25th January.Advertised elsewhere. 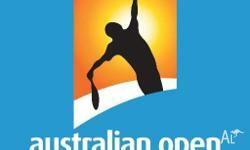 2 X Australian Open Mens FINAL Hard Tickets Section 40! SOLD OUT!